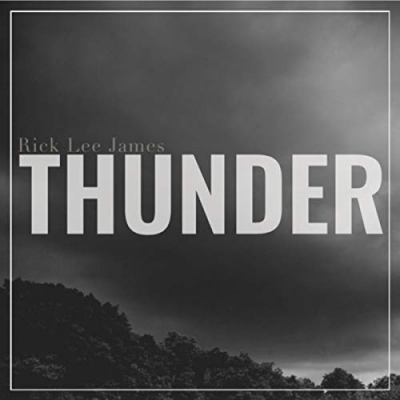 Thunder, the highly anticipated eighth recording by acclaimed singer/songwriter and author Rick Lee James, will be available beginning February 8. Produced by Chris Hoisington of Brothers McClurg at Old Bear Studio in Buffalo, New York, Thunder features 10 songs, including the title cut co-written by the late Rich Mullins along with renowned songsmiths Lowell Alexander and Phil Naish. Read More Thunder, the highly anticipated eighth recording by acclaimed singer/songwriter and author Rick Lee James, will be available beginning February 8. Produced by Chris Hoisington of Brothers McClurg at Old Bear Studio in Buffalo, New York, Thunder features 10 songs, including the title cut co-written by the late Rich Mullins along with renowned songsmiths Lowell Alexander and Phil Naish. Thunder also includes the Charles Wesley classic, “Love Divine, All Loves Excelling (Perfect Love),” with a new chorus by James, along with “My Master Was So Very Poor,” with lyrics by Henry Lee and music and arrangement by James. Rick Lee James is an acclaimed singer/songwriter, worship leader, author, speaker and podcast host. James’ recordings include Workin’ On Commission, A Little Lower Than The Angels, Christmas Songs, Changes, Basement Psalms Live, and Hymns, Prayers & Invitations. His 2018 hit, “Advent Hymn,” remained at #1 on Christian Radio Weekly’s “CRW Adds Chart” for seven consecutive weeks. The song has been played on nearly 700 radio stations in the United States, Canada and the United Kingdom. James' book, Out Of The Depths: A Songwriter’s Journey Through The Psalms, is used as a textbook for the National Praise & Worship Institute at Trevecca Nazarene University. He has also been a contributor to Worship Leader magazine, Holiness Today, The Table and Worshiplife.com. His podcast, “Voices In My Head,” has featured such leading singer/songwriters as Andrew Peterson, Sara Groves, Jason Gray, Michael Card and Paul Baloche.